The NSW Cancer Plan sets out a coordinated and collaborative approach to cancer control. It is the fourth cancer plan for NSW and builds on the success of previous plans, with the aim of lessening the burden of cancer in NSW. NSW is at the forefront of cancer control globally. If you live in NSW your chances of surviving cancer are amongst the highest in the world. The NSW Cancer Plan will focus on Aboriginal communities and CALD communities, key cancers and key systems. The NSW Cancer Plan will work to improve outcomes for all cancers, but will pay particular attention to lung, colorectal and primary liver cancers. Within NSW there are people or communities who have a higher risk of cancers and poorer cancer-related health outcomes. 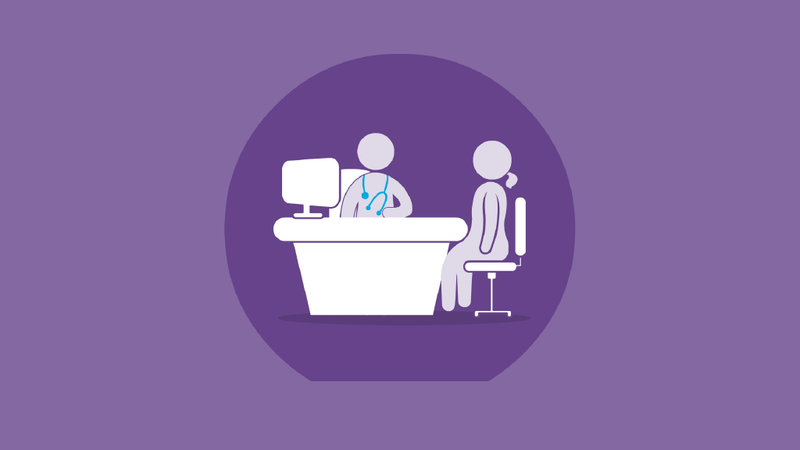 Complex, chronic conditions such as cancers require patient-centred care integrated across multiple health settings - with a focus on primary care. To measure progress made during the implementation of the NSW Cancer Plan, it will be regularly monitored and evaluated. A key part of how this will be done is through the Cancer Plan Performance Index. 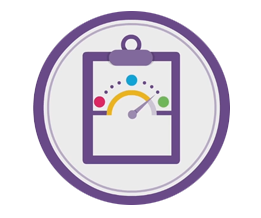 This uses a number of measures to indicate progress against the objectives we are working toward. The indicators are reported on annually to show how the Institute is achieving its targets between now and 2020. This index will be updated as new research and information becomes available to better measure outcomes. Regular updates will be provided and published here on the Cancer Institute NSW website as the NSW Cancer Plan is implemented from July 2016. 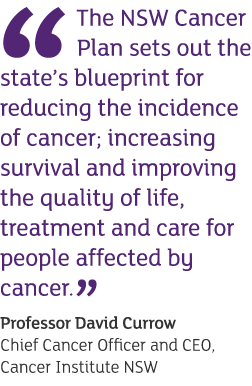 Read more about our key achievements from the previous NSW Cancer Plan 2011-2015. 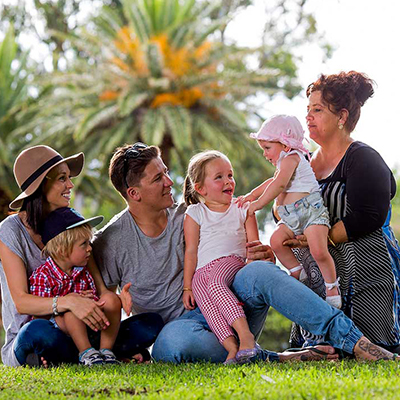 Download printable resources of the NSW Cancer Plan. This PDF document is a printable version of the NSW Cancer Plan. This PDF document is a printable infographic summary of the Plan.